For kids aged U12 (kids who were 10 or 11 years old on Jan 1st, 2019). And for kids 12 years and up who are new to paddling! This program will continue to focus on developing the fundamentals of paddling (e.g., stroke, balance, mileage) along with an introduction into the competitive aspect of Sprint Canoe and Kayak. 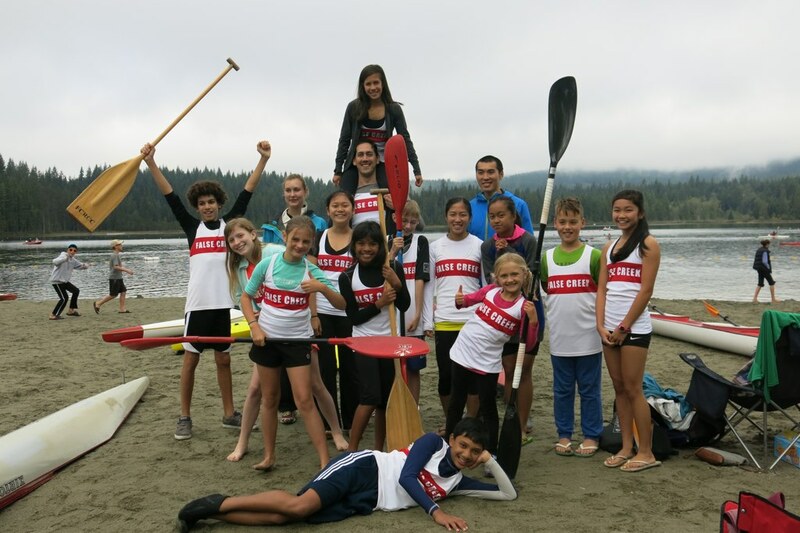 Coaches will continue to develop paddlers’ boat skills and balance through workouts, games, balance challenges, and introduce paddlers to land training as it pertains to paddling (e.g., running, stretching, body exercises). During the racing season, paddlers will have the opportunity to attend regattas and compete against other kids in their age category. For the new 12 and up paddlers, the focus will be on acquiring fundamental skills and balance, and build fitness and speed on the water towards the older aged training groups. Note: no camp on July 19th and Aug 9th as athletes and coaches will be travelling to Kamloops / Nanaimo for weekend regattas.